Food Intolerance, it’s a real problem. Your health issues could be linked to your intolerance to certain foods. Common health issues that can be improved include Eczema, Headaches & Migraine, ADHD, Irritability, Tummy aches, Irritable Bowel Syndrome, & others. Over 75 articles on food intolerance and various symptoms are available free from this site. Click on the Articles tab above to see them. Tolerating Troublesome Foods is the latest book from author Joan Breakey. 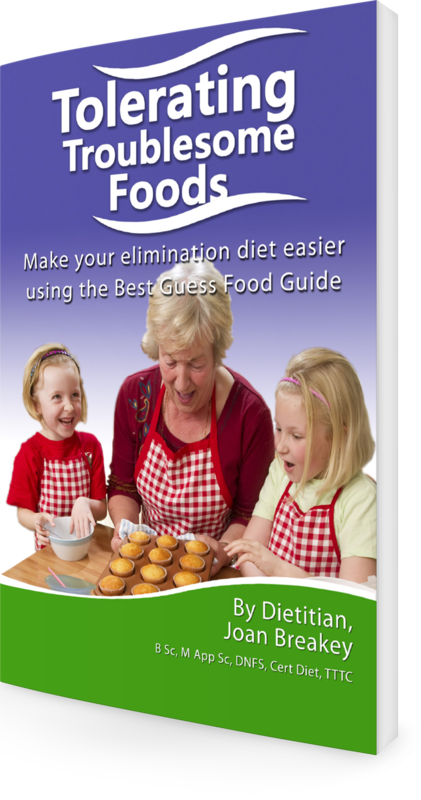 It contains the Best Guess Food Guide of over 300 foods. It will help you understand different levels of risk depending on changes in each food that affect your own tolerance. This allows you to expand your diet carefully to make it your own. Purchase Tolerating Troublesome Foods [Hard Copy] *Available for sale in Australia only. The prices for ebooks are $15 and hard copies are $25. Explains detailed diet therapy incorporating food chemical sensitivity as well as allergy. It is designed to give professionals confidence in each step of the process. 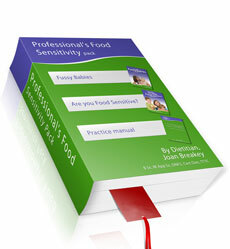 Includes 3 Diet Detective Method books — Fussy Babies, Are You Food Sensitive? & Dietitian Practice manual. Includes bonus “Thesis on diet and behaviour and ADHD” — shows the development of the diet investigation process. The Diet Detective method is a process of working from symptoms that you’ve clarified you want to investigate, using your family sensitivity history. The Diet Detective method chart helps you in finding out how your sensitivity to food could be linked to common health issues like: Eczma, headaches & migraine, ADHD, irritability, tummy aches, irritable bowel syndrome & others. 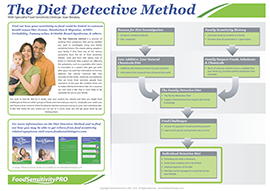 Click here to download Diet Detective Method Chart now!! !